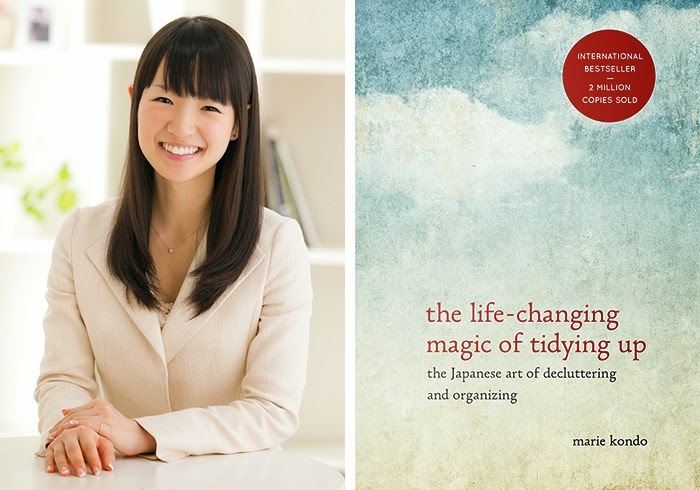 Have you heard of Marie Kondo, the famous organizer from Japan? She helps clients get clutter-free and stay that way (and has a 3-month waiting list). I heard about her book when it first came out, but only recently checked it out on Amazon. From what I could read there, I was hooked. I just finished the book and thought it was great - I laughed out loud at the part where she says to stop keeping all those extra buttons that come with clothes - "you'll never use them!" (totally guilty of this). Indeed, she is right. Somehow it is incredibly helpful and reassuring to have this tidying expert tell you in very plain and simple terms precisely how and what to discard. And I found I agreed with nearly 100% of what she suggests. I especially liked that she recommends tackling sentimental things last since they are the hardest - This is something I've run into many times before when attempting to clear out a space, and which often totally derails my efforts and can make the overall task seem overwhelming. 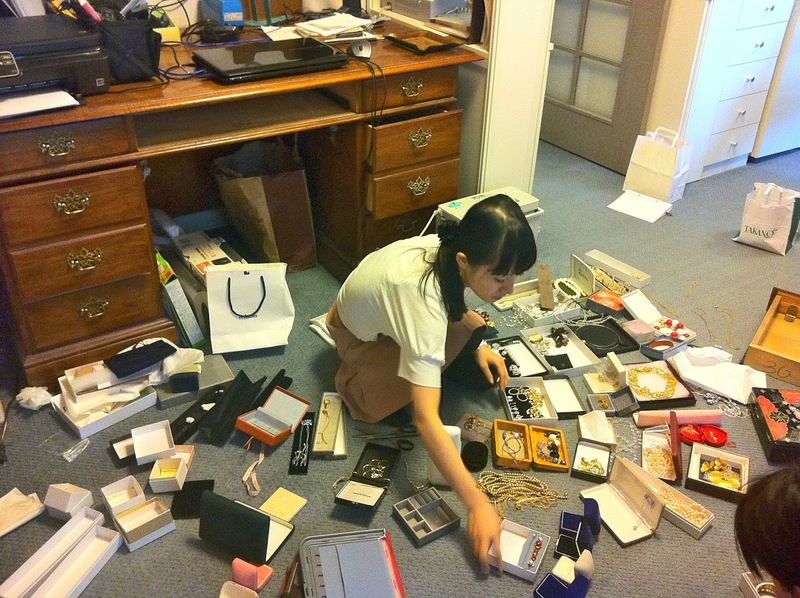 And that too is part of her method - you discard by category, not by room. 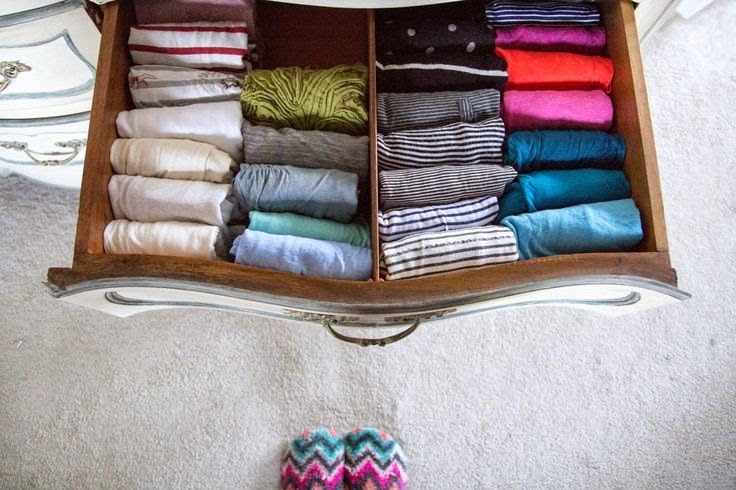 Her method to living clutter-free (with no rebounding) is a result of her two simple steps: 1. Discard; and 2. Designate a place for everything. Next up on our discarding list: Paper (and just in time for the upcoming shredding events!). I fully admit I am a bit of an organizational nerd and always have been... but I think this method would work well for any personality. I highly recommend it if you feel you'll never tackle this task on your own. By the way, something else that made us laugh out loud -- this article emailed to us by one of our clients about "stuff", "memorabilia" and why millennials don't want it. (Thank you, Catherine, for sharing!). Images (and additional articles via the Kon Mari Method) via The Japan Times and Apartment Therapy.